Uru,Mufasa & Scar. . Wallpaper and background images in the Ang Hari ng Leon club tagged: lion king uru mufasa scar. wow this is GREAT! like seriously amazing looks-like-the-disney-people-did-it great!!!!! 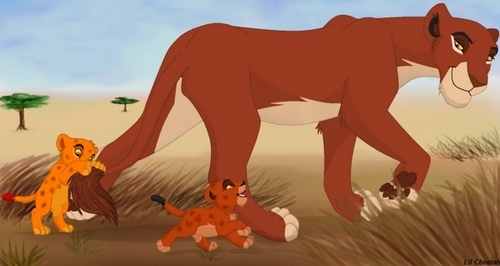 Mufasa looks exactly like Simba as a cub. He seems to act the way Simba acted as a cub. You may have found these images on Google, but many of them come from artists at link and you need to have the original artists' permission before you go ahead and post their images here or anywhere else. Kataang114 what is wrong with you?! honestly!you say you are confused every pic there is about them! you don't believe them, then go to google and youtube and type in "lion king family tree" now you got that! why do they have spots? Simba didn't why do Scar and Mufasa? Scar looks soooo cute!!!! What happened? now we know where scar got his coloring from! cool pic. if you have a sarabi figure please let me know ASAP!